This trilobite cephalon fossil is an Harpes venulosus Corda. 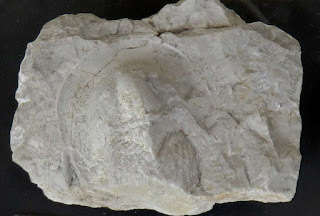 The fossil was found in the Konieprus Limestone of what is now Czech Republic (Bohemia). It dates to the Devonian Period.